ST. GEORGE — A St. George woman is facing multiple charges after police say she gave two minors marijuana in exchange for a ride to a fast-food restaurant, where she allegedly used a counterfeit $100 bill to pay for their meals. Tasha Elaine Jennings, 41, of St. George, appeared in court Friday and is facing five charges, including one third-degree felony count of possessing a forgery writing/device, along with four class B misdemeanor charges that include one count of marijuana possession, one count of paraphernalia possession and two counts of contributing to the delinquency of a minor, according to court documents. The charges stem from an incident Wednesday evening when police were dispatched to a Taco Bell store in St. George on report of a counterfeit $100 bill that was used to pay for items ordered at the drive-thru window. Officers responded and were provided with a description of the vehicle the allegedly fraudulent payment came from, which was stopped at 1000 E. Tabernacle Street minutes later. Police identified the adult male driver as Frank Forsyth, along with two female juvenile passengers. During the traffic stop, officers allegedly found marijuana and paraphernalia inside of the vehicle, for which Forsyth was cited and then released. The two juvenile passengers were also cited for marijuana and paraphernalia possession and were referred to juvenile justice court. During the course of the investigation, the girls allegedly told officers that Jennings offered them marijuana in exchange for a ride. Jennings told the girls to go to Taco Bell and that “she was buying,” police said in the probable cause statement written in support of her arrest. Once at the drive-thru, police say Jennings handed the bill to Forsyth to pay for the meals, after which they drove off. Meanwhile, the restaurant’s manager collected the counterfeit bill and called police. Jennings was later located near the One and Only bar on St. George Boulevard where she refused to answer any questions and told police she wanted an attorney before being transported to Purgatory Correctional Facility where she was held on $5,000 bail. Jennings remains in custody as this report publishes. 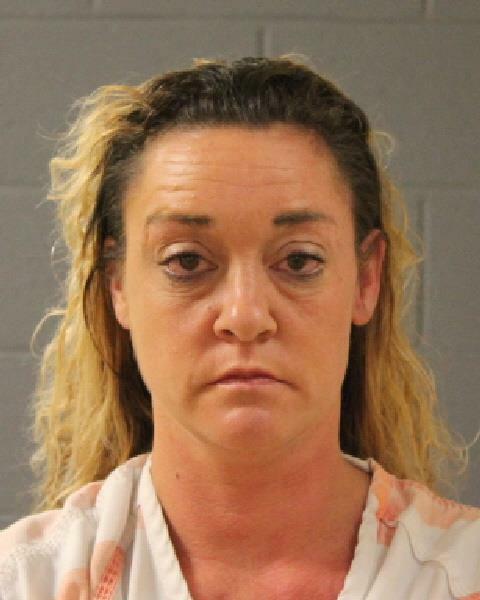 Her next scheduled court appearance is Dec. 3 at 2:30 p.m. in Fifth District Court in St. George. She may be stupid but at least she’s a looker. If she can play the piano and sing she has Miss St George in the bag. If blood hounds excite you, you may have found a friend in her. Some crime sprees just need to be nipped in the bud. At least the weed was real. anybody need a baby sitter ? Well, she didn’t use real money because it wasn’t real Mexican food. That’s only fair.